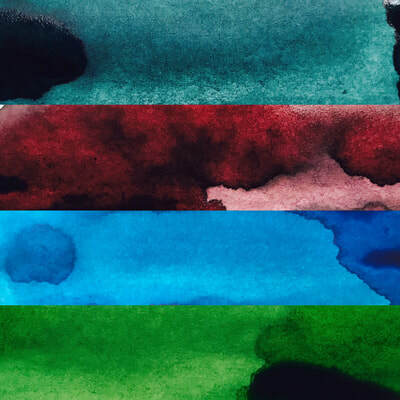 'Fountain pen ink is not just utilitarian anymore, with the explosion of colors, it has become a rich media to express one self. WELCOME to BauerInks, the only place where you can find beautiful hand crafted Fountain Pen Inks and Ink Art together!! 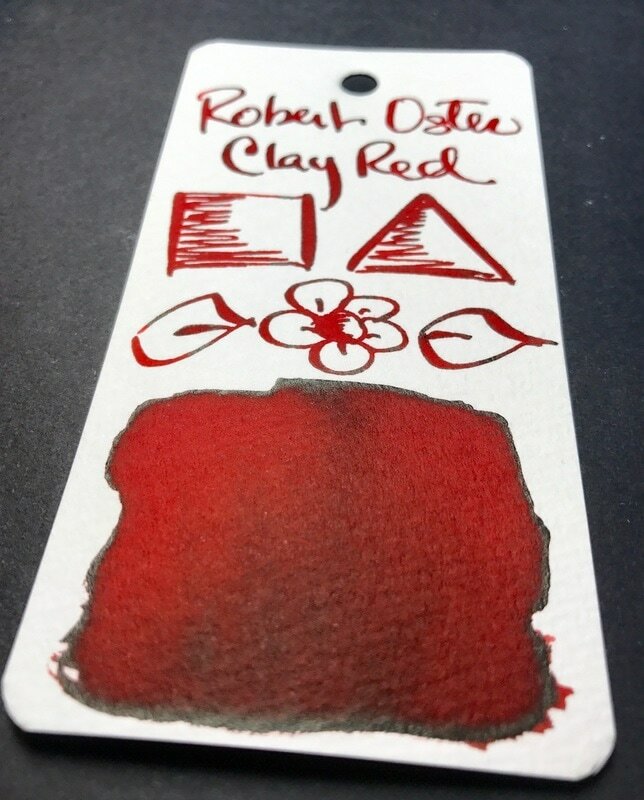 We carry the fantastic ROBERT OSTER Inks and KWZ Inks. 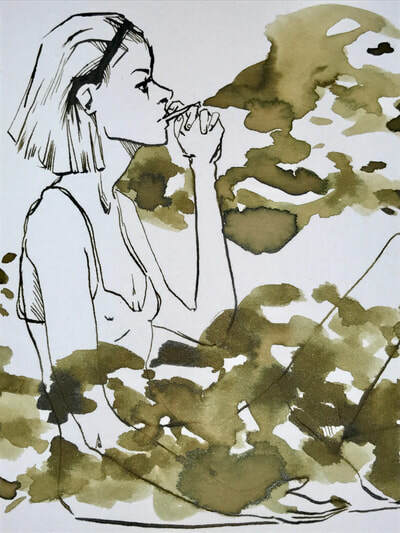 You will also find lovely Ink Art done with the best hand crafted ink. COMMISSION your own ONE-OF-A-KIND Art piece!! 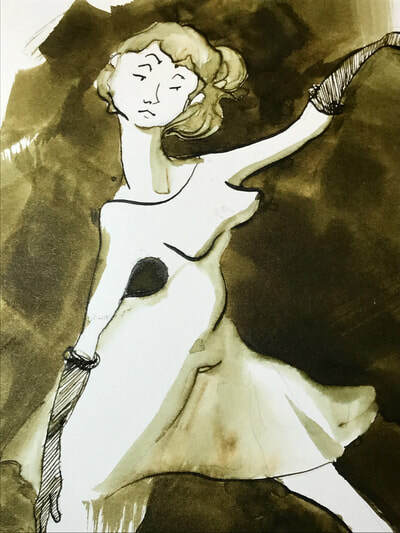 Select your ink/s and select the type of art (sketch, life drawing, abstract) and you can have your own beautiful Art piece showcasing your favorite Ink hanging on your walls. For the Toronto Crowd... Pens & Pints meets the second Friday of the Month (next meet is on DECEMBER 14, 2018). 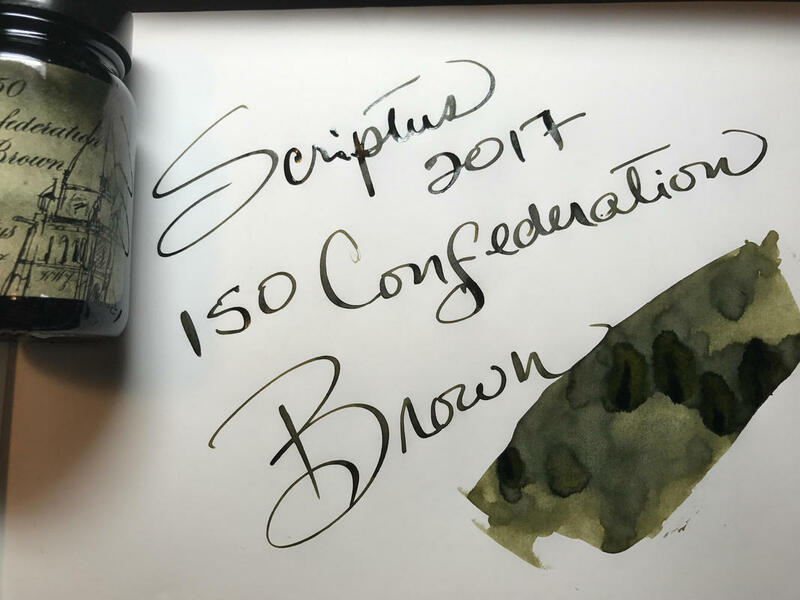 UPDATE on the Scriptus Show Ink and the CANADA POST STRIKE !!! 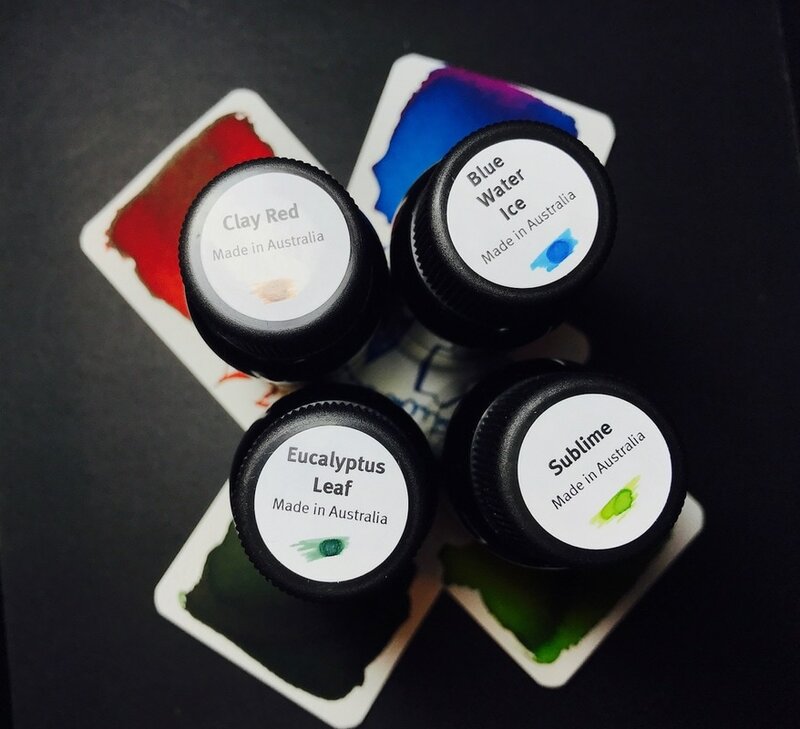 Shipping of Scriptus Inks for CANADA and US addresses was completed on November 9, 2018. If you paid, it was shipped. I did most European countries, NONE to India, Singapore and Australia. I have NOT invoiced anyone from India/Singapore/Australia, and won't invoice them until the Canada Post Strike is finished. Once the Strike is finished, I will start invoicing again, THANK YOU so much for your patience. UPDATE on the SCRIPTUS SHOW INK - Maple Red and Northern Twilight !!! I have received more than 150 emails in the last 24hrs. I am closing the list at this moment. I won't have time to reply to anyone until I have finalized the list. Some people are only requesting one bottle, so I cannot be sure at this moment if all bottles are taken. 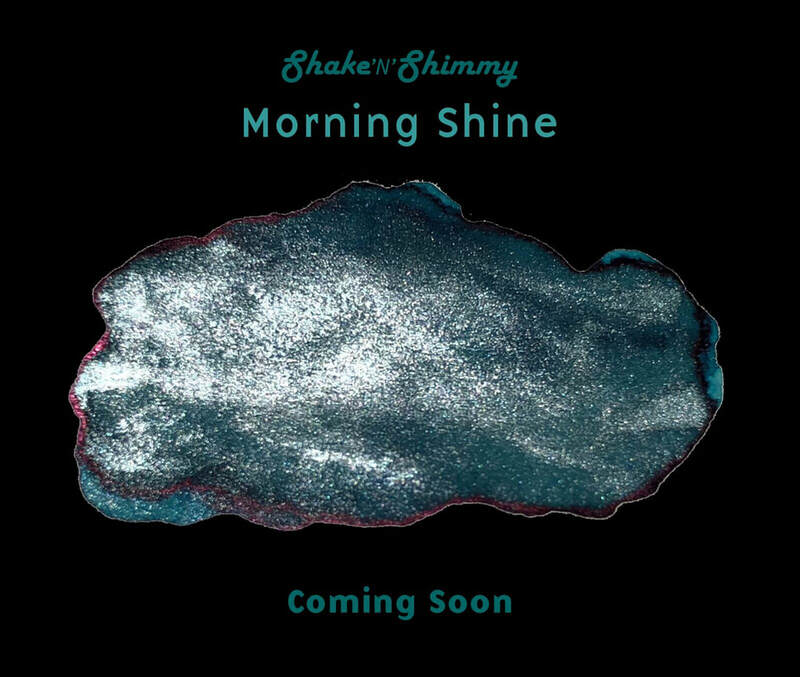 Also, some people are asking for shipping quote (from UK, countries in Europe, Australia, India.. etc) so until I reply and they confirm if they still want their bottle, I wont know the final list. I will reply to all emails by end of this week (November 2). THANKS SO MUCH FOR YOUR SUPPORT !!!! This year Scriptus is celebrating its 5th Anniversary!! As part of the celebration, we are doing something special! We are bringing back MAPLE RED AND NORTHERN TWILIGHT !!! These amazing inks sold out in less than an hour each on their respective year. 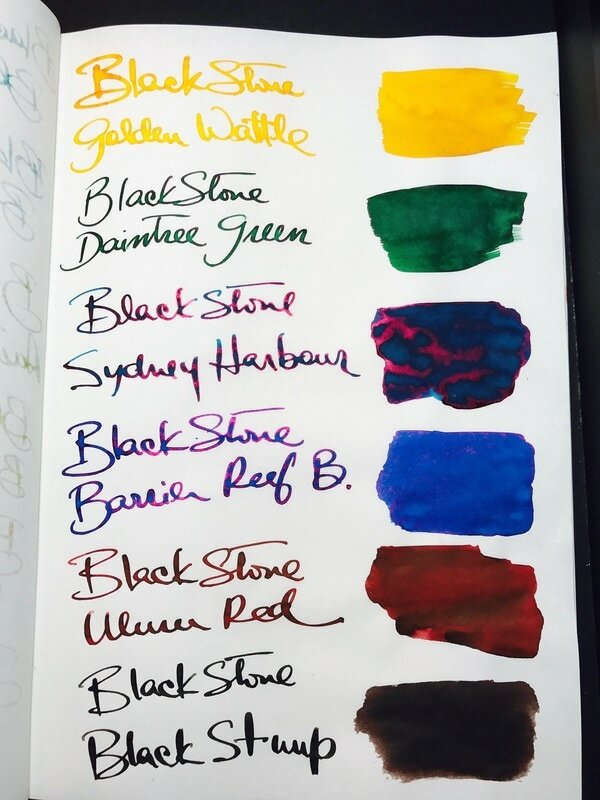 If you were not able to get your hands on these amazing ink, this is your SECOND chance! 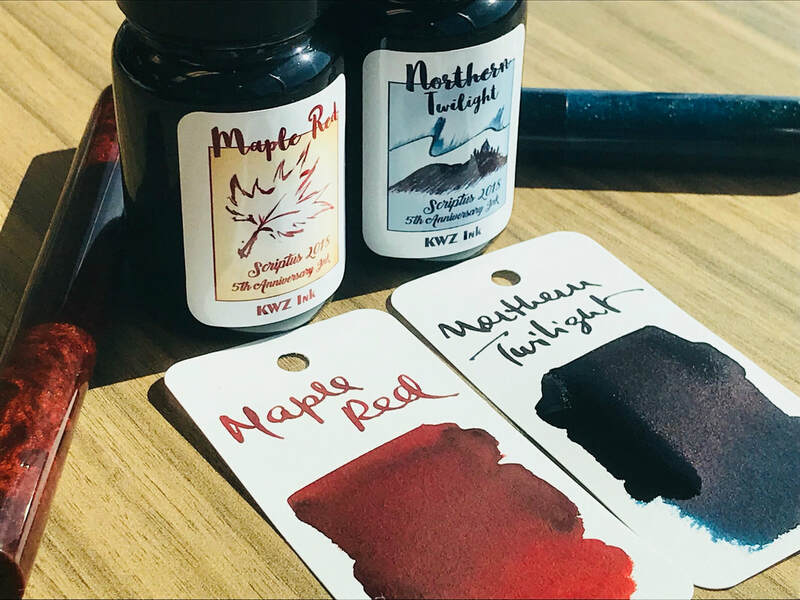 Maple Red and Northern Twilight are brought to you by the incredible creative team of KWZi and Bauerinks.ca. 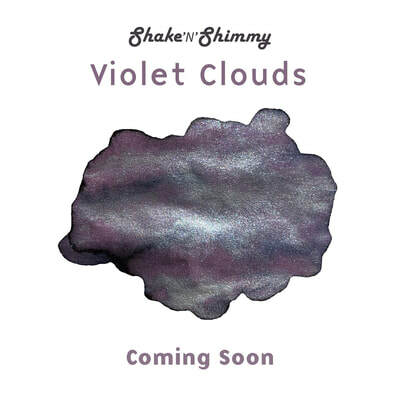 ALSO, we will be allocating an undisclosed number of bottles (of each colour) for the ONLINE Community! 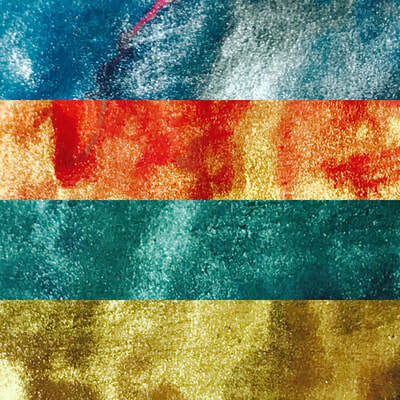 If you can't make it to the show, you still have the chance to secure one of these coveted colours !! These bottles will be released at the end of the show, and will only be sold through BauerInks.ca. 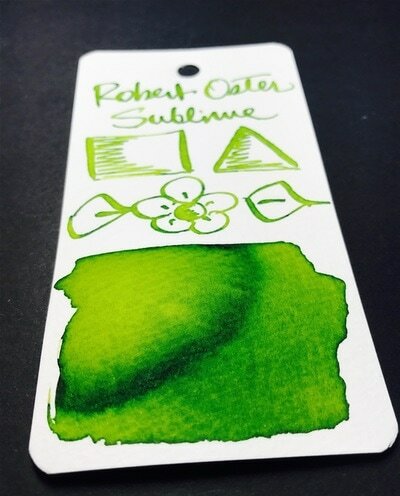 If you are in TORONTO - head to the show to get your inks. If you are NOT in Toronto, send me a Contact/Order form specifying your shipping address on October 29th**. **Priority will be given to addresses not in Toronto during the first 24hrs. PRE-ORDER** Rober Oster Colours of the 80's !!! ** To Pre-Order, send an email to Bauerinks.ca using the Contact Form. A PayPal invoice will be issue. 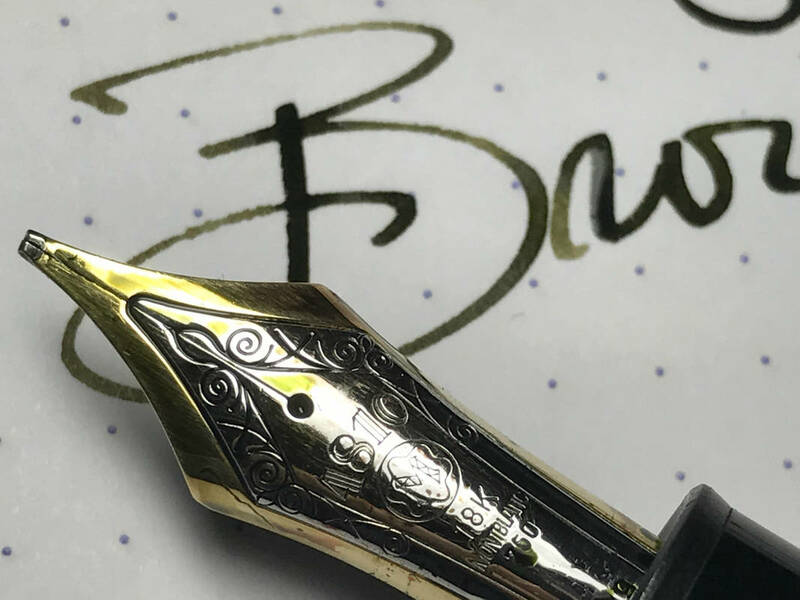 You can choose to ship or pick up at Scriptus Toronto Pen Show. ​Listen to the CBC Radio Sunday Edition - Inside the INKY World of Fountain Pen Lovers !! Taped at Pens & Pints !!! THEY ARE FINALLY HERE!! 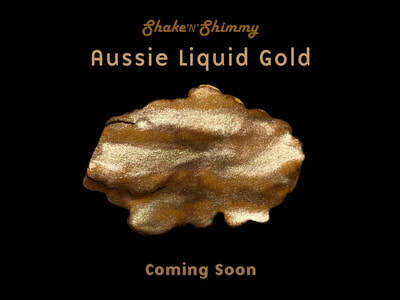 Robert Oster Shake'N'Shimmy LQ colours!! 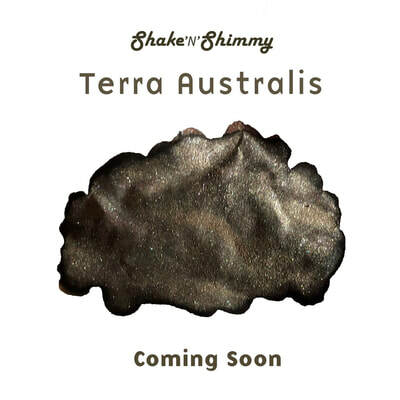 and NEW Shake'N'Shimmy line colours Barossa Pack which includes . Barossa Gilt and Blue Velvet Storm (2x15ml), Schwarze Rose (15ml) and Rose Gilt Tynte (50ml).. They are ALL in STOCK!!!.. PLUS!!! NEW Robert Oster Signature colours - Aussie Gold, Aussie Brown, Orange Rumble, Morning Mist and Great Southern Ocean. You can see some swatches on my instagram. I will update the swatches here soon. Head to the Contact/Order Form Page and place your order. International shipping available at cost. Robert Oster Shake'N'Shimmy LQ Colours!!!!! 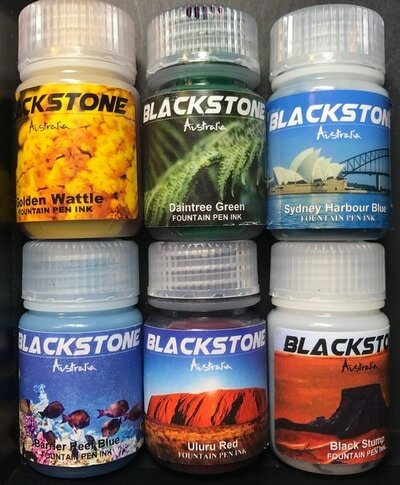 These AMAZING colours are Limited Quantity of 100 bottles each worldwide, BAUERINKS will receive 20 bottles of each colour. Pre-ORDER is OPEN. Send me a Contact Form today to reserve yours!. Invoices will be sent once the inks are in Toronto. Shipping is available at cost. ​Do you know what is MUCH better than Turkey leftovers?? ..... is Scriptus 2017 Ink leftovers !!!! HA HA!!!! 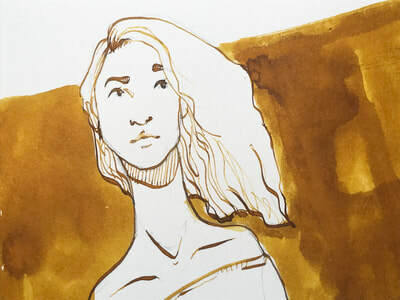 This will be your last chance to get this amazing KWZ ink, don't miss it. Cost per bottle $20CAD, shipping is extra. 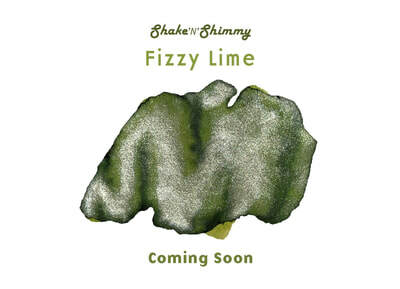 Use the contact form to request a bottle (s) and to inquire for shipping. SCRIPTUS is only ONE WEEK AWAY.... and we have FANTASTIC NEWS!!.. 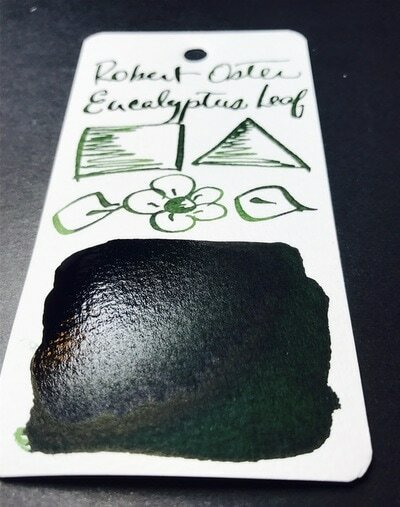 BauerInks.ca will carry Robert Oster 4PACK sets. 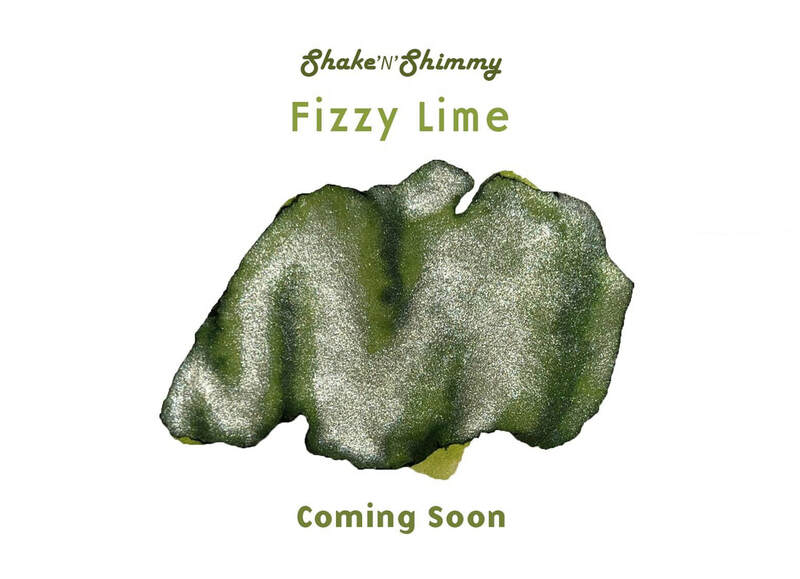 Currently there are two, the BauerInks,ca Exclusive 4PACK (includes new colours Velvet Storm and Coonawarra Cabernet plus Soda Pop Blue and Forest Green) and the Shake N Shimmy Holiday 4PACK, which includes: Silver Fire and Ice, Red and Gold, Peppermint Candy and Heart of Gold. Enjoy the pics below. 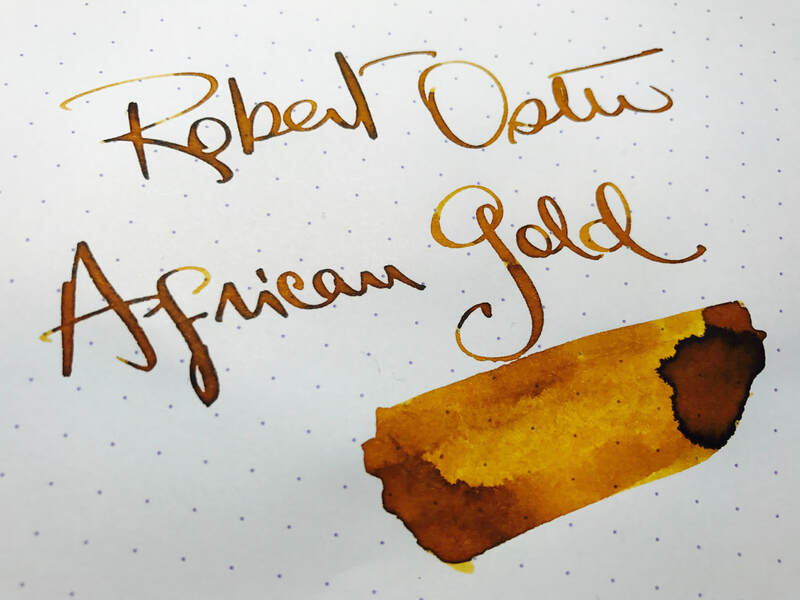 PLUS... we also got Robert Oster AFRICAN GOLD.. All proceeds from African Gold go to WorldVision for African Children. ***** SCRIPTUS IS IN TWO WEEKS AWAY!!!!!!!!!!!!!!!!! ***** OMG... THE EXCITEMENT!!! BauerInks.ca will be present and with stock of all your goodies. Cross fingers Canada Post is nice to me and releases all my parcels in time for SCRIPTUS!!. 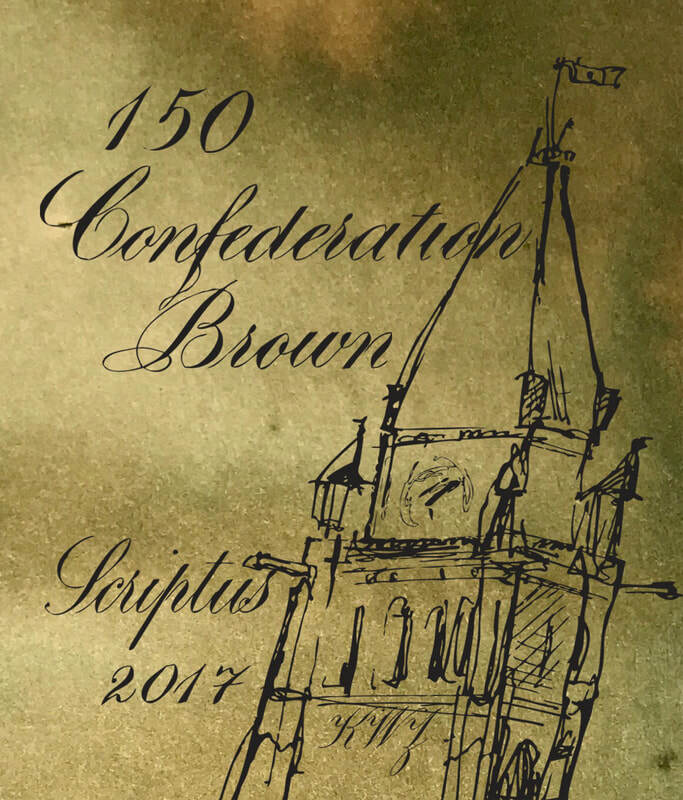 This year we have a NEW Ink... 150 CONFEDERATION BROWN!!! And by some of my favourite reviewers: TAS and LGSOLTEK and GourmetPens (Azizah) !! People ... People, this Saturday August 19, the GNYPIG (Greater NY Pens and Inks Group) will be paying us a visit in TORONTO!! Drop me a line if you are coming. Will need to reserve a large table. YAY!!! 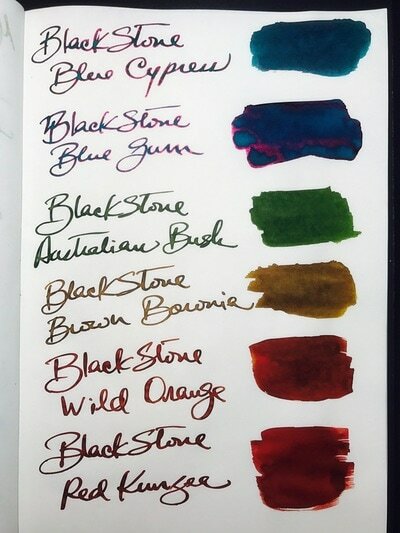 NEW INKS!!!! With our tradition of only carrying the BEST handcrafted inks out there, we are ECSTATIC to announce that....... BLACKSTONE INKS are now in CANADA!!!! WOOHOO!!!! 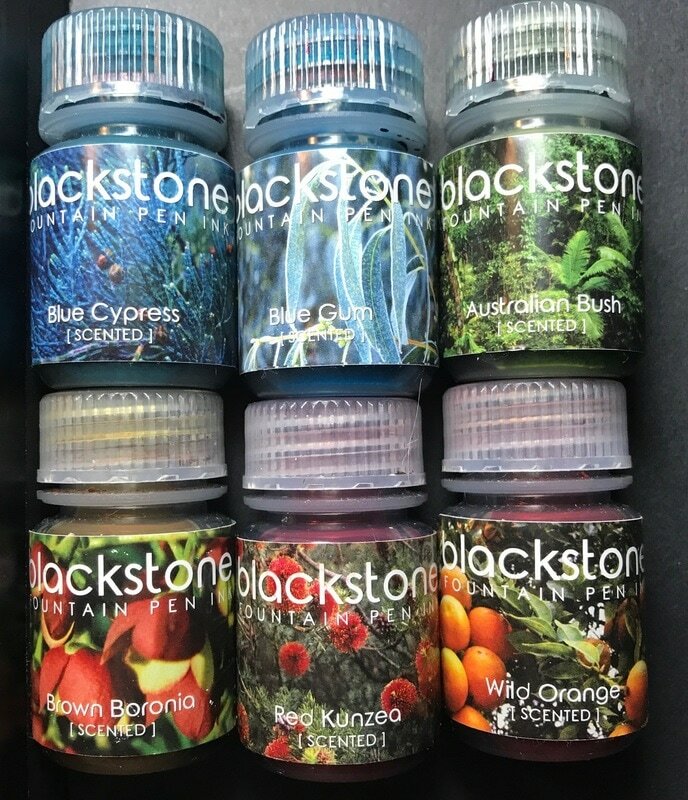 Blackstone from Justwrite.com.au, has been around for a few years, and has created a cult following. 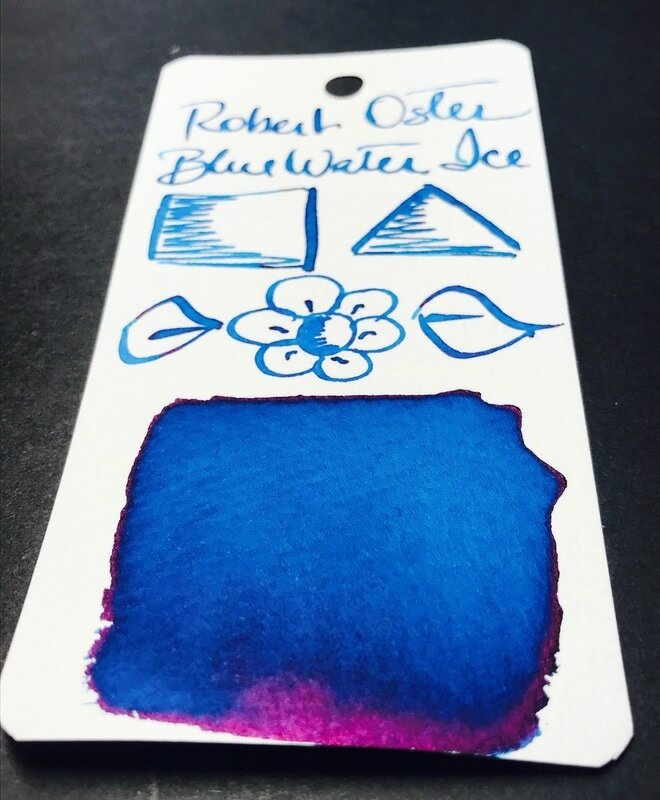 His Blues have amazing, intoxicating sheen. His Reds and Greens are breathtaking. 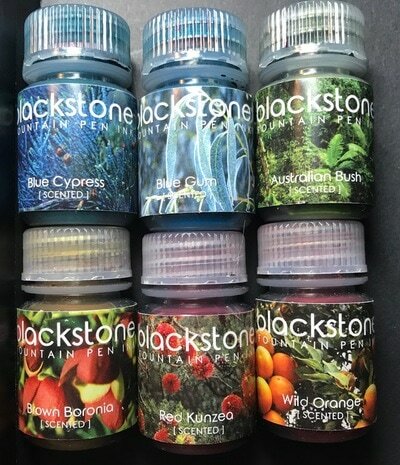 The NEW SCENTED line has the most luscious colours and overall Blackstone inks are saturated and have FANTASTIC lubrication. To add, it seems that BAUERINKS.CA is the first in bringing them to North America !!.. YAY!!! 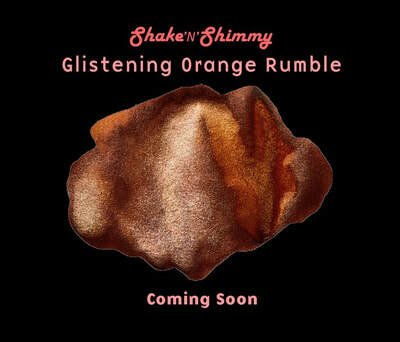 Enjoy some teasers below... while I prepare full swatches (click on the pictures to make them bigger). Prices are posted in the Contact/Order Form. Follow me on Instagram (Instagram badge below) and you can check some amazing pics of the newest batch of colours.... and if you are in Toronto, drop by Pens & Pints. We are meeting on Friday June 9. Information is below.